I find myself delving again into the very murky world of the Victorian serial killer. This case, however, is quite different to the ones I have looked at previously and not just because it deals with the sad crime of infanticide but because it highlights the press's very fickle attitude towards the Victorian murderess. 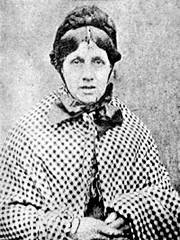 The woman in question, Rebecca Smith, came to national attention (and notoriety) in June 1849 after the sudden death of her one-month-old son, Richard, in the town of Westbury, Wiltshire. Considering the high prevalence of infant mortality in this period and the poverty of his parents, Richard's death was not immediately noticed by the local authorities. In fact, it was not until the whispers of poison in Rebecca's neighbourhood had grown so loud that the coroner was forced to sit up and take action. On 22 June, he ordered Richard's body to be exhumed and for a post-mortem examination to be conducted. At the inquest into Richard's death, Rebecca Smith was the star attraction and judged guilty by the press before the evidence had been heard. Described as a "forbidding-looking woman" in her forties, members of the press were struck by her "most indifferent manner" throughout the proceedings. The press were quickly vindicated, however, when it was revealed that Richard had indeed died as a result of arsenic poisoning. Furthermore, on the question of who had administered it, the evidence against Rebecca Smith was overwhelming. Several witnesses testified that Smith had asked them for arsenic shortly after giving birth to Richard. She claimed that her house was overrun with rats and mice which she intended to kill. 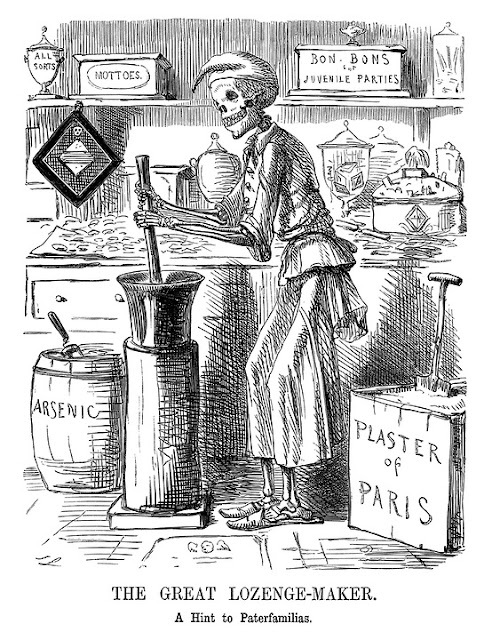 But nobody had any poison so, on 25 May, she asked a young girl called Caroline Mackey to go to Mr. Taylor's, a local druggists, and buy some arsenic for her. When Mackey's mother found out, she forbade her daughter from going and Smith's hopes of obtaining arsenic were briefly shattered. However, on 7 June, a local woman named Prudence Mead agreed to accompany Smith to Taylor's shop and act as a witness while she bought some arsenic. 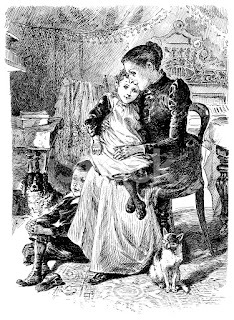 Smith had no problem buying the arsenic - as the sale of poisons were unregulated at this time - but she changed her story, telling Taylor that the arsenic was for her sister who had problems with mice. Later that evening, Smith's baby, Richard, was seized with pains and vomiting which persisted until his death on 12 June. Edward, born 14 January 1844, died within one month. When asked by the coroner, Smith declined to make any comment on her case and had nothing to say directly to the jury. (For the press, this was proof of her guilt). She was committed to trial for the murder of her son, Richard Smith, while the coroner ordered the bodies of two of her other children to be exhumed and examined by a surgeon. The babies in question were Sarah (died 1841) and Edward (died 1844). Like Richard, an examination of their stomachs revealed that they had both died of arsenic poisoning. However, these deaths were not officially linked to Rebecca Smith because it was not clear who had administered it nor when it was administered. "Remember, that in a few days, your life must go, and then you will commence an existence, good or evil, to endure for ever." While awaiting execution, Smith confessed to the chaplain that she had murdered seven of her children in the same manner as Richard. She also admitted how she had carried out these crimes: by rubbing the arsenic onto her breast so that the child would ingest it while feeding. As shocking as this was (and is), Rebecca Smith believed that she was doing her children a favour by saving them from a life of "want" and deprivation. It was well-known among Rebecca's friends and acquaintances that her husband, Philip, was prone to bouts of drunkenness and thought nothing of squandering the family's meagre finances on alcohol. "From the first week of her marriage, down to the last…he (her husband) had been given to drunkenness and "it was that", she said, had driven her to her crimes. He scarcely ever brought home a shilling of his wages. She herself toiled hard in the field all day, and at night she came home and washed, and did all the household work. 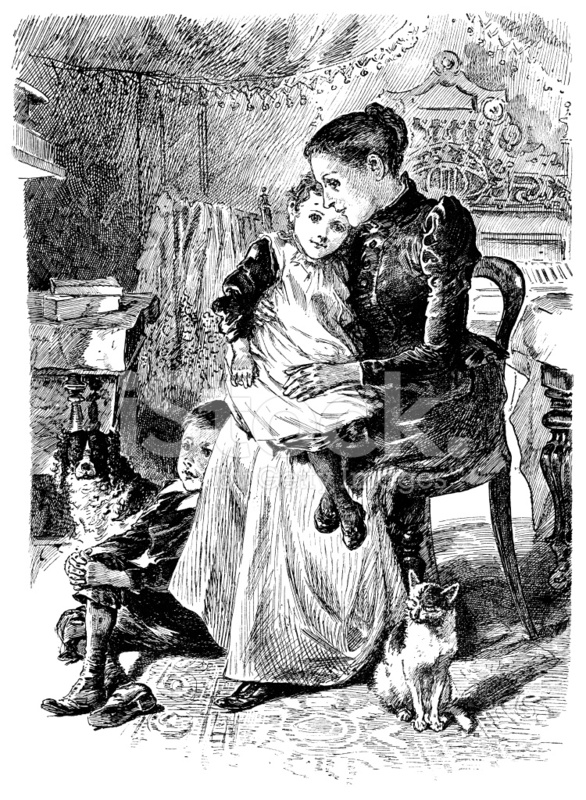 With nothing, then, to maintain the family, but what she herself earned, which was four shillings per week…the fear that the children would come to want operated so powerfully upon her, that she destroyed them." It is interesting to note that the newspapers did not record any of the gory details of her execution, as was common in other reports. For them, her confession and genuine story of poverty had transformed Rebecca Smith from a cold-hearted killer to a desperate, almost tragic, mother. She was executed on 23 August 1849, in front of a large crowd in Devizes. The Bath Chronicle, 5 July 1849. Lloyd's Weekly, 29 July 1849. The Standard, 11 August 1849. The Globe, 24 August 1849.